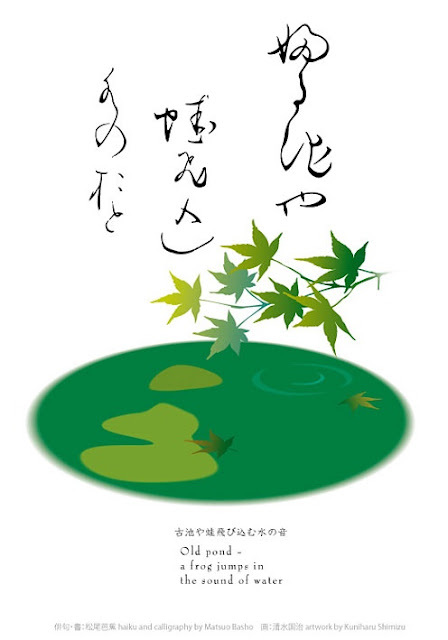 On the web, I happened to find the image of Basho's calligraphy, the one with the famous old pond haiku. I digitized it and added it to my haiga of the same haiku. Here it is. It came out such a beautiful haiga! Should that be frog? Or maybe my eyes are failing me ... surely not flog?